Realization Drive in Dhaka, Bangladesh (7th -10th January 2011) | Realise the World! Dhaka formerly known as Dacca is the capital of Bangladesh and the principal city of Dhaka division. Dhaka is a mega city and one of the major cities of South Asia. The city town is located on the banks of the Buriganga River. Dhaka along with its metropolitan area, has a population of over 10 million, making it the largest city in Bangladesh. It is also amongst the most densely populated cities in the world. Dhaka is known as the City of Mosques and renowned for producing the world’s finest muslin. Today it serves as one of the prime centers for culture, education and business in the region. Bangladesh was one united Bengal during early twentieth century before partition during the British regime in India. Later, after the partition of Pakistan and India, the current Bangladesh that formed the other part of Bengal in the eastern side remained with Pakistan with its larger Muslim population. The western part still is called as the West Bengal even after the Partition. Thus East Bengal that formed the Bangladesh still has great affinity with cultural heritage, art and music and food habits with state of West Bengal in India. 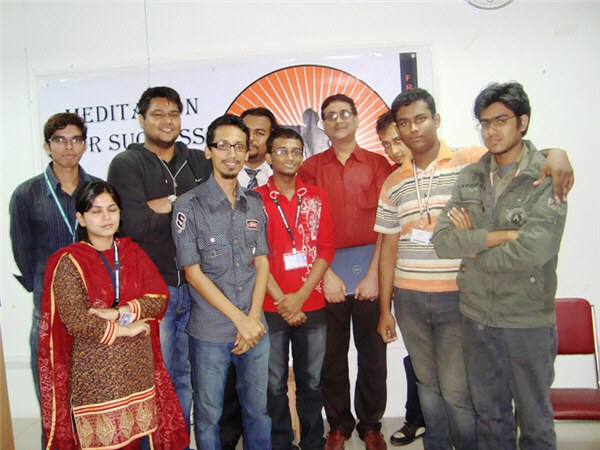 There are several universities in Dhaka. The Dhaka College is the oldest institution of higher education in the city and amongst the earliest established in British India founded in 1840. Since independence, Dhaka has seen the establishment of a large number of public and private colleges and universities that offer undergraduate and graduate degrees as well as a variety of doctoral programs. 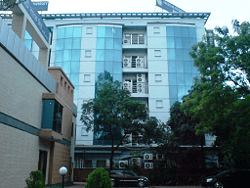 Besides regular incoming and outgoing international flights, City of Kolkata in West Bengal, India is well connected with Dhaka by road and rail route besides a less than an hour flight time. However the traffic density is very high and remains extremely busy during the working days in spite of good roads and connections in Dhaka. However, the city celebrates its holiday on Friday. The standard time at Dhaka is 30 minutes ahead with respect to India. By the blessings of Shri Mataji, two established yogis from India landed up in connection with their job assignments in Dhaka in 2007. But the main thrust for Realization was initiated from 2010 when Dhaka witnessed quite a number of new faces amongst the existing family of yogis. The year 2010 also witnessed some small scale Sahaja programs in Parks (more than 60 seekers receives their Self Realization at Gulshan Park and Manik Ganj in August), in the American International University (in October with a Sahaja program for students were conducted where more than 130 experienced the cool breeze). Subsequently follow-ups are being taken care of with weekly meditations on every Friday. 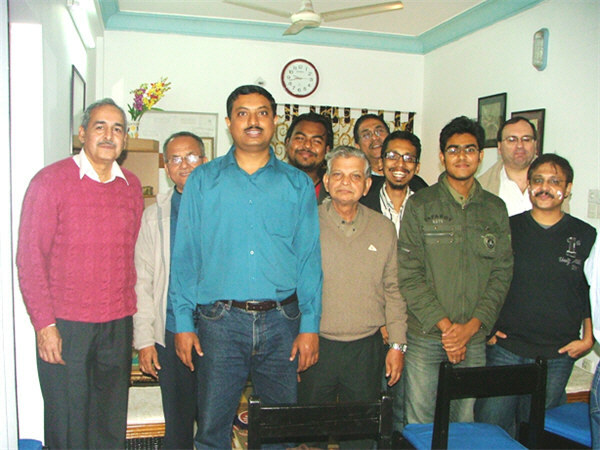 The second weekly meditation centre conducted by Mr. Ashok Singh at Bonani area hosts 45 Sahaja Yogis. There are two boys and four families from Hindu background and 35 yogis come from Muslims origin. Out of the 45 yogis of this particular center four girls practicing Sahaja Yoga had even brought their parents also to take Realization. Further in order to encourage all yogis practicing meditation and regular cleansing, the center distributes free salt to every body. 22 Kamal Ataturk Avenue, Ataturk Tower 2nd floor. Response with Bangladeshi community is very encouraging and in spite of all their belief, they are all very enthusiastic, practicing and spreading Sahaja Yoga sincerely in and around Dhaka. Apart from these, at another locality there is a family of Mr. Alok Bose in Kathipara village of Khulna distt in Dhaka. They have been practicing Sahaja Yoga for last 10 years. Besides nine members of his own family another nine from his neighborhood area are practicing Sahaja Yoga. The family had the blessings of attending puja in Her holy presence of Shri Mataji earlier. However, four more centers are likely to start shortly within 2-3 weeks. One will be run at the non-profit organization “Manush”, which is run by youngsters and are very keen to spread Sahaja meditation. 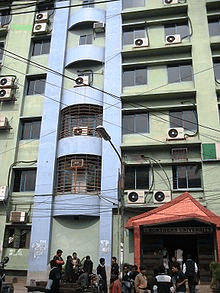 The second one will be at Narinda (old Dhaka) Hindu Area, third one at Tutimir Hostel/Northern College, while the fourth one at Mirpur Bangla School and college. Also in and around the famous Chittagaong district of Dhaka two boys and three families and one entire school with 35 adults have received their Self Realization through Mrs Tanu Singh. One of the families out of them had also specifically visited India and attended Sahaja Yoga meditation center in Kolkata. But the most remarkable part is a few youngster of Dhaka who have emerged as very enthusiastic yuva shakti from Bangladesh and are very keen to conduct public programme. Mostly they belong to the voluntary Manush organization or are students from University. They’ve emerged as precious jewels like Rashed, Shuvo, Amitav who initiated active participation with the visiting yogis from India besides several others who can be seen in the picture. All of them need our collective love and attention. They are so keen that they have also built up several face book entries for Dhaka and are now trying to maintain a special website for Bangladesh. They indeed are Mother’s special instruments ready to build up our Sahaja family at Dhaka. During a get-together they shared their personal experiences and it was amazing to learn that Rashed, who never had secured an ‘A’ grade in his career, recently scored an ‘A+’ grade in his exams in spite of bunking of most of his classes to support Sahaja Yoga activities. This has not only instilled a lot of confidence in them but also made them very sincere in taking the message of Realization far and wide. While another boy Sharif in the team also fared very well recently in his exams, he confidently attributes his success to meditation, which is very encouraging. Zinnat is the first girl from Dhaka who received her realization and started practicing Sahaja Yoga. She was working with the website bangladeshyoga.org . She was seeking job. Suddenly she was offered a job in ‘Baisakhi TV’ as news reader. Recently, she has been selected to act in one of English documentary. 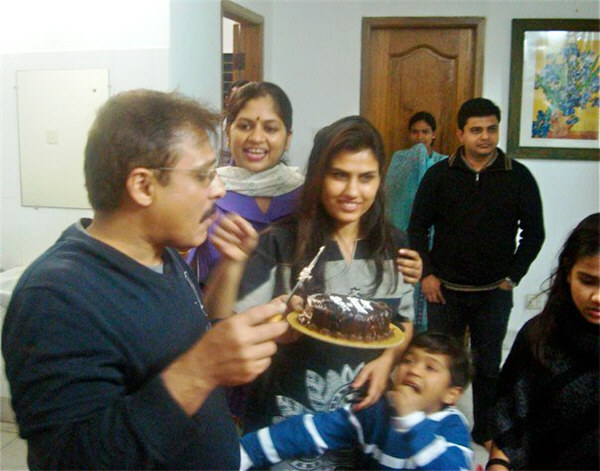 Her parents however were hesitant initially but when was advised by our yogis to give it a try, they happily agreed. Now that she is happy and practises Sahaja Yoga with all the more firm platform. The year 2011 opened up with great enthusiasms in yogis from India to take up a’ Realization drive’ to Bangladesh and establish Sahaja Yoga in Dhaka to begin with following the divine message of Shri Mataji early 2010 to work in adjacent countries. A few yogis from India gathered from Maharashtra, Uttarkhand and West Bengal to take it up on a commitment. Like a full scale exercise a lot of resources materials were carried along to share it with the team of yogis in Dhaka besides designed several flexicharts , banners and subtle body charts printed and designed especially suiting for community in Dhaka. Also hundreds of ‘Realization photographs’ were taken along for follow-ups and possible later usage. So with a lot of precautions and prayer in heart the soldiers of love marched ahead and for four days the Realization drive that brought amazing results beyond expectation. It was all Mother’s grace and attention that made everything possible. Everyone as if were waiting for the team to arrive at Dhaka from land of Kundalini to bring them this unique meditation technique as propounded by Shri Mataji to help them recognize themselves and lead a meaningful life. 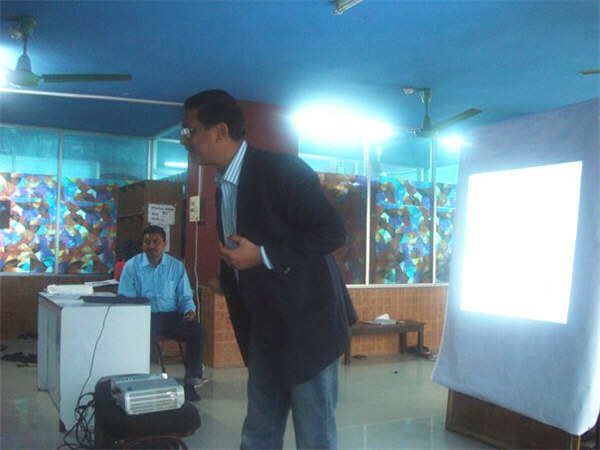 Initially the Realization drive was focused on the head quarter of an organization called ‘Manush’, a non profit NGO spreading various community awareness in Bangladesh. There were around 50 young boys and girls who received their Self Realization. Subsequently they agreed to host a regular meditation every Friday as follow-up session in that venue itself before a permanent Sahaja meditation center is established there. However, it is proposed to open up another centre at that venue within a span of 2-3 weeks time enabling more seekers to join the collectivity there. Three Public programs were conducted consecutively on the second day: It was a very hectic schedule for all of the yogis to hop from one end to other. Yet with the blessings of Shri Mataji everything seemed to be so perfect and timed that seekers as if knew that they had to come somehow to receive their Self Realization. The seekers in overall had little doubts left in them as things were designed with practical discretion and wisdom to present Sahaja Yoga before them. Mostly the emphasis was focused on the daily chores of lives that we lead diverting out of orthodox dogmatic beliefs and mere ritualistic or religious attempts to attract them. Best part was that it never interfered with their beliefs that they practiced and respected. Attention of Mother could tangibly be felt everywhere the team approached and that created all the difference. Self Realization became an effortless process and the seekers seemed so receptive. 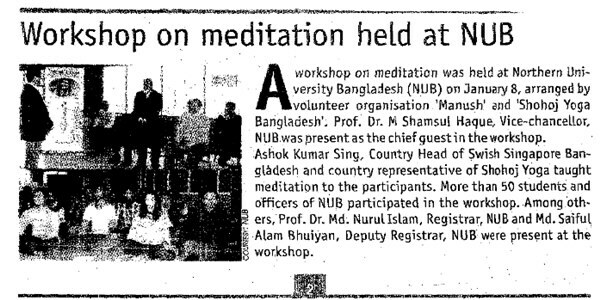 On this second day the first attempt was initiated in the Northern University campus of Dhaka where the Vice-Chancellor, the Registrar and sub registrar of the University, all were very keen to learn about Sahaja Yoga as they were apprised about this unique meditation. They personally accompanied the guests and the invitees into their campus hall. Realization was initiated after a brief presentation made by a Sahaja Yogi on necessity to adopt stress-free meditation technique as devised by H.H. Shri Mataji. 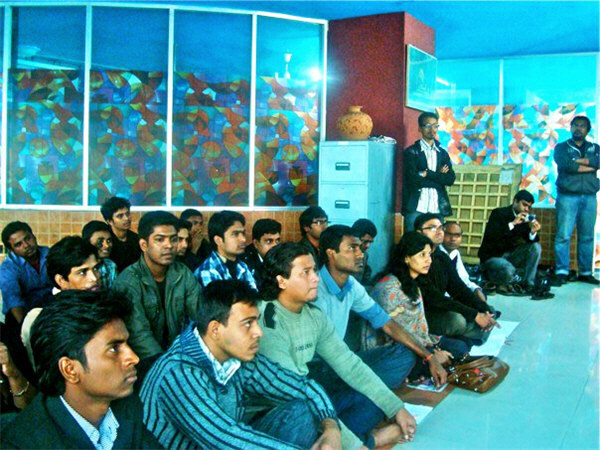 Almost 50 students from various faculties attended the programme and felt the breeze. In his concluding speech the Registrar, who also happened to be a professor in nuclear physics, confided that he found this Sahaja Yoga to be based on pure science as its effect can be felt on palm and head. Further he added that he himself had been practicing to discharge negative energies that are accumulated in the body into the earth system by placing his both palms on the ground every morning referring to the demonstration given by the speaker for need to balance our subtle system during initiating the Self Realization process to them. Second program was initiated, in a Buddhist meditation hall amidst a beautiful park. Buddhist is still a minority community along with the Hindus. However, this hall was very big and they were kind enough to extend their hall for a reasonable price at the eleventh hour. Though there was a bit less campaign effort due to manpower constraints in yogis. Yet at the end of the day in the evening at least 20 seekers with mixed community background received their Self Realization. The third venue was hosted in a huge govt college hostel for students of Public universities called as Tutimir Hostel. Around 100 seekers received their Self Realization here. Everybody felt very good and when asked in the end of the program, “how many of them will continue”? Almost everybody answered affirmative tone. The guests and yogis were received with warm welcome and the president of the Hostels Bangladesh Awami league gratefully acknowledged their visit from India and expressed his happiness. The third day in Realization drives effort the yogis approached yet another school in Mirpur area. It was a Public high school and effortlessly could pursue the authorities to conduct programme for their school children. Permission was granted but for the next day that is 10th January. The yogis thanked Shri Mataji for all these opportunity that came by itself spontaneously without any obstacles. Having a free day on 9th, the yogis had a real good get-together and discussed a lot on the future strategies over a delicious Bangladeshi meal along with other yogis and seekers. Evening was blissful as the company of the Sahaja collectivity of Dhaka shared a lot of memorable moments and discussions on Sahaja Yoga with Indian yogis. Coincidently the yogis also could avail a rare opportunity to celebrate the birthday of one local yogi. The evening get-together was real fun with lots of vibrations as yogis opened up in joy through music and dance besides celebration of birthday with cake and lot of love around. The last days’ ‘Realization drive’ concluded with the committed programme at the school at Mirpur area. Young pupil of Standard seven were very receptive and almost all felt the cool either on their palm or their head barring a few. In total 63 children along with two teachers received their Self Realization. After the Realization, visibly an expressive shine could be seen in their eyes. By the blessings of Shri Mataji, Sahaja Yoga in Bangladesh is spreading fast where Islam is the major religion. The youngsters who have joined our big family of Bangladeshi origin are very enthusiastic to see a transformation in their country as they have experienced themselves in their practical lives. They are confident about it. However, the experiences say it’s not difficult to have programs in Schools or Universities to begin with. However efforts are on to negotiate with authorities at Diplomatic offices/circles and various Medical colleges in near future to hold programme. Also attention is being focused to organize a programme with our musical team from India in future to explore the scope further in way of the Realization drive. Substantial resource materials for campaign, Realization photographs and banners have already been extended to the existing Sahaja collective in Bangladesh in this drive. However, introductory booklet that already available in Bengali language needs to be re-designed especially suiting the need with discretion to be presentable to the new seekers. Since most of the seekers are from Muslim background, it will be worthwhile to use proper discretions in initiating Realization process and/or campaigning. Therefore it is wise to take the yogis of Dhaka in confidence prior to initiation of Sahaja Yoga or explaining who may visit their country from outside. Let us remember the Muslim community believes in ‘Formless’ philosophy of worship at the first place and they mostly understand Bengali dialect to converse with. It is worthwhile to be with them and grow with them as the love flows. Yogis in Dhaka are excellent and sensitive too. Therefore one need not worry for their stay while in Dhaka if plans future visit in limited numbers. Rest Mother takes care of. VISA is easily available free of cost but with proper documentation from outlets of Delhi, Kolkata and Tripura from India. It takes almost a week for the VISA processing. So one must plan out in advance if are desirous to join the stream from India especially. Entire Dhaka collective is waiting for all of us to vibrate their land. Let Mother’s breeze flow so that we could grow. I was going through the videos & images & literally crying in joy to see all the effort & responsibilities take by our sahaja brothers in Bangladesh. Also amazed to see Ghosh Da’s photo in the group. Great work. There is already a very dymamic yuva shaki in Bangladesh making sahaj programmes in many universities, they are waiting to see their brothers & sisters from W B to visit them before to come here.